This holiday is always celebrated on October 5th each year and celebrates the establishment of a republican form of government back in 1910. The is a patriotic day and a time for people reflect on their countries history. 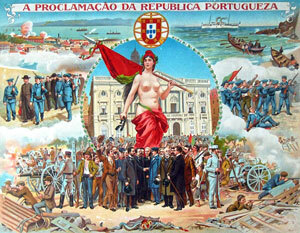 The day commemorates when back in 1910 the monarchy of the House of Braganca who had been in power for the last 700 to 800 years was overthrown in a peaceful revolution and thus putting in place a new republican form of government.